It was in 1929 and early in 1930 that the Rural District Council purchased some land which was part of the old recreation ground to build twelve council houses. They were built in three blocks of four with large gardens at the back and side, there was also a cinder track put down as the entrance. They still stand to this day; we know it as The Close. At the High Street end of the cindered track, on one side stood an old pan tiled cottage of two up and two down and on the other side was the Pound water well, which we know as Charlie’s today. The well had been there since the Middle Ages and served most of the High Street, but as Clapham now had an adequate water supply, as well as standpipes, the RDC decided to fill it in. The Parish Council at their meeting in January 1932, decided that a tablet inscribed with details of the Pound Well be erected on the old stone building that stood nearby. The tablet was purchased through a village subscription and was on the building until the late 1950’s when the old limestone building was pulled down and the tablet disappeared. By 1933, although Clapham had only just had the water supply laid on, there wasn’t a proper sewage system in place. Up at the Folly end of the village, more buildings were being erected. It became known as Mount Pleasant building estate. It went from the High Street opposite the Lodge estate to near to Thompson’s garage and eventually became the old George Street. In 1934, Mr F.P.Tinsley, local farmer and builder, decided to build some houses on land in the middle of the village. He was going to call the new street, Thrift Street, but the villagers were so enraged about the name, as people didn’t earn much money at that time that a special meeting was called and after a long discussion, Mr Tinsley relented and called the street Highbury Grove. The houses went up to the top end of the field, where he erected a cast iron fence, then built more houses on the other side of the road. By 1938 though, Mr Tinsley had to stop building as war was looming on the horizon. The last house built stands on the corner of what we know as The Slade today. Clapham, previously known as Clopeham, has been an agricultural village since before the Norman Conquest. Clapham Manor and the adjoining farmhouse came into the possession of Ramsey Abbey in 998. 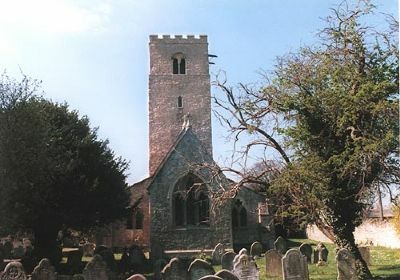 The Saxon church tower was used to look out for raiders who came up the river as far as The Ford. Clapham had a medieval water mill but by 1279 this had disappeared. During the 17th century the Taylor family owned the manor and it was Ursula Taylor who founded the charity which bears her name. During the 18th century tolls were levied from horse-drawn coaches at the toll-gate cottage next to The Ford. Coachmen and passengers stayed at the Horse & Jockey (now the Horse & Groom), the nearby coaching inn. During the 1920s/1930s mains water and sewage replaced the contaminated village wells. Gas and electricity were also laid on at this time. In the 1930s building began at the Folly end of the village. The houses were initially called Mount Pleasant Building Estate but later became George Street. In 1934, Mr. F. P. Tinsley, a local farmer and builder decided to build on land in the centre of the village. He decided to name the road Thrift Street but villagers were enraged at the suggestion and a special meeting was called. After much discussion, Mr. Tinsley relented and called the road Highbury Grove. By 1938 building had ceased as war was looming and the last house stands on the corner of what is known today as The Slade. The Methodist Church Hall is available for hire and is located in the High Street opposite the Post Office. For further details please contact 01234 343411.